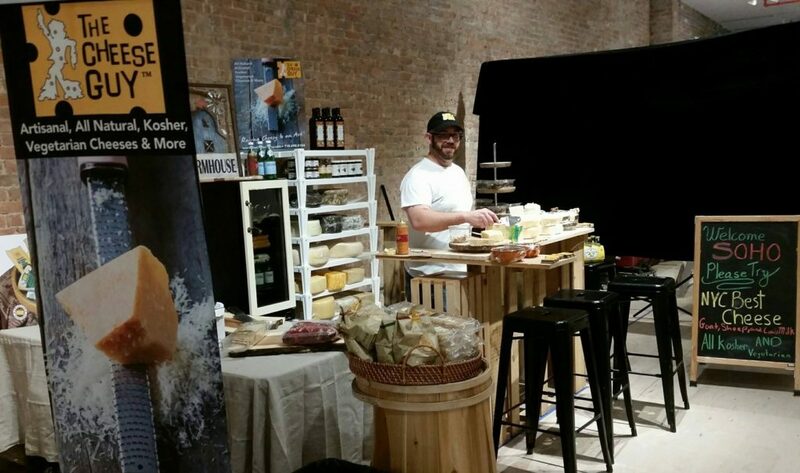 A kosher cheese shop is now open in Manhattan. The Cheese Guy is offering his cheeses in a small pop up in the Soho area at449 Broadway near Grand St. (see map below) inside Broadway Market Co.
Fresh cut cheese off the block, cheese slider sandwiches, sparkling juices, Mediterranean olive blends. Types of cheeses will vary. Examples include pecorino with truffles, mancheli/manchego, beer cheddar, and others. Hours of operation are 11am-8pm weekdays. Expect the pop-up to last through this month, although no official end date has been announced. The cheeses all have OU or OK on the packaging. The location does not bear an additional kashrut certification.